Last week I ate something I'd never had before but I'd been really curious about for a long time - jackfruit! I found a can of jackfruit in a little health food store in Joplin, Missouri a few months ago, but for months I couldn't decide what to make with it. 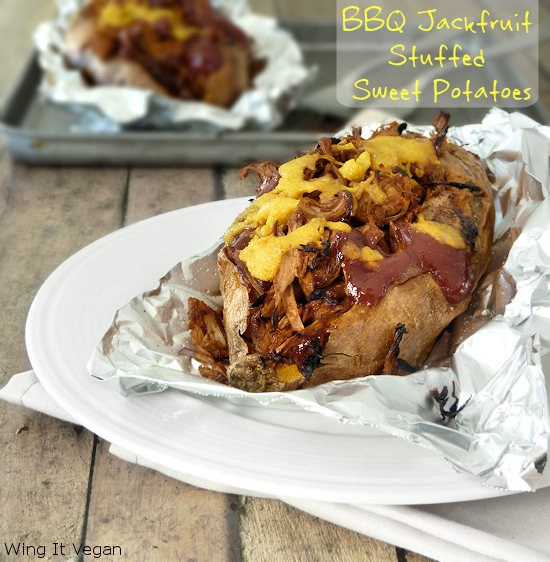 That problem was solved as soon as I saw Ketty's BBQ Jackfruit Stuffed Sweet Potatoes. Looky here! Poorly framed and taken photo. My belly was getting impatient! It looks so much like some sort of pulled pork it's scary! When I first took a bite of the jackfruit by itself I thought I wasn't going to like it because it was a little too tangy, but that's when the sweet potato came to the rescue and balanced out the tanginess with its carby sweetness. Jackfruit definitely has a meaty thing going on. The barbecue sauce brings the whole dish together beautifully, and I must confess I did not eat it in the most ladylike fashion. Usually I am a slow eater and I like to take dainty bites with a fork, but I was having a hard time resisting the urge to pick up the whole thing like a corn on the cob and going to town on it. I didn't do that, but I did pretty much inhale it in a matter of seconds! Thank you for sharing the recipe, Ketty! That looks delicious! 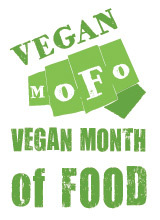 I'm planning on trying my first jackfruit before the end of MoFo too. Oh I really hope that you will love it too, Dawn! It's always exciting to try new ingredients, and even better if we end up liking them! I have such easy access to tinned jackfruit here, and yet I have never made it before. I am so lame. I had jackfruit for the first time in Portland in a pulled jackfruit burger. I really cannot believe how much it looks like pulled pork! It's scary! It's almost unappetizingly similar...but it's sooo good! 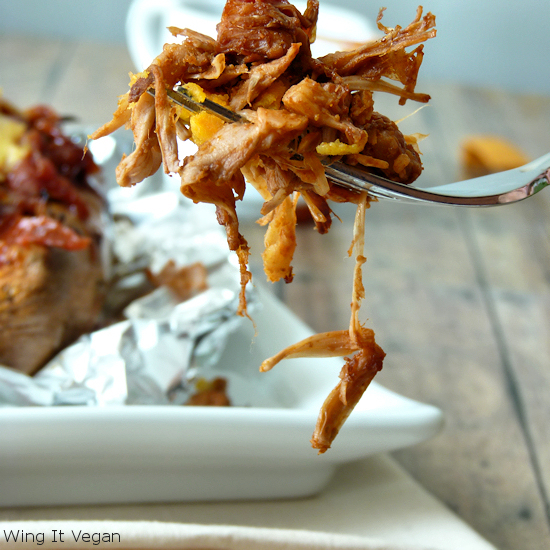 I always forget about jackfruit, until I see a delectable recipe on someone's blog. Then I have to go buy some. I think we've kind of gotten used to using soycurls whenever we want something that jackfruit would be perfect in. Aw yeah, this looks awesome! Is that some extra vegan cheese and bbq sauce I spy on top? Yummm! Yes! I forgot to mention that I melted some coconut milk cheese on there. Airhead! why did i miss these ! this is an awesome reminder! I have no idea if we can even get jackfruit over here, but I hope we can because that looks so awesome. I might have to go do some googling now! Oh I hope you can find some, Sal! Unfortunately for me I can only find it online, but at least it is available somewhere, so I'll take it! 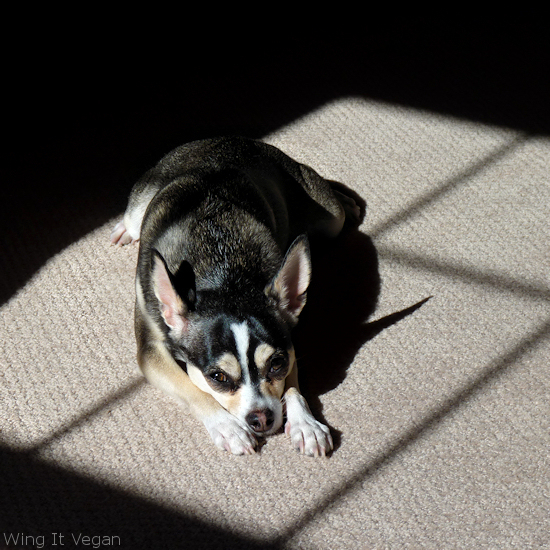 I had admired this recipe on Ketty's blog too! It looks so mouthwateringly delicious. I'm not surprised that dainty eating was not an option! Ooh, I want to make these!! I need to track down some jackfruit, it's been ages since I've had in the pantry. I saw your picture on Facebook and died (in a good way), because it looks crazy delicious! Jackfruit is fantastic, I really need to experiment more with it. It sure rocked my socks off! I want to make carnitas next, which was what I intended to make with my can of jackfruit until I saw this beauty.